1. Find the digital versions of your important owners manuals online, bookmark them all in one folder, then recycle the paper versions. Or download the PDFs to your computer, and file them away together. Or go the extra mile and import the PDFs into iBooks — find out how on Apartment Therapy. 2. Determine how many coffee and tea mugs you actually need using a simple ~mathematical~ formula. Basically, according to Home Storage Solutions 101, you multiply the number of people in your house by the number of mugs they use in a day. Then multiply that by 1+the number of days you go between running your dishwasher. So say you have 2 people who use mugs. One person who uses 2 mugs/day, and the other person who uses 1 mug/day = 3 mugs/day, total. Multiply those: 2 people x 3 mugs/day = 6 mugs. Then say you run your dishwasher every other day. That's 6 mugs x (1+2 days) = 18 mugs. 3. 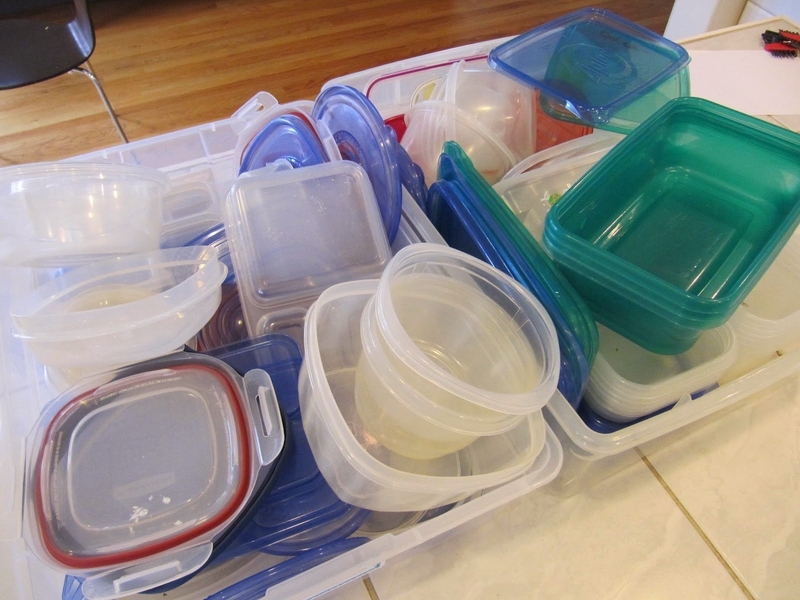 Sort through your reusable plastic containers to find the ones you use most often, then repurpose a shallow plastic bin as a giant drawer in your cabinet and use a shoebox for the lids. The ones you don't really use? Well...consider recycling or donating them. From Everyday Organizing. 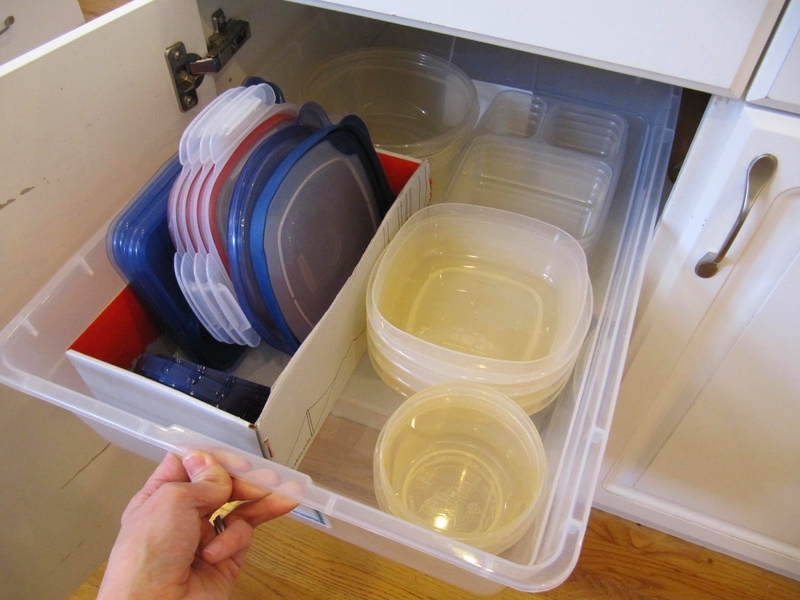 If you don't have a similar box lying around already, you can do something similar with a single plastic drawer that's about the same size; get one on Amazon for $18.76. 4. Keep an "Eat Me First" plastic bin in your fridge for all the food that's close to expiring or goes bad kind of quickly. Get a similar bin for $15.99 or a six-piece set of fridge bins that includes a similar bin for $34.99, both on Amazon. 5. Ditch the pile of half-empty tea boxes for a bamboo tea chest that'll hold 80+ teabags. It'll take up like, less than half the space of all those boxes. Get it on Amazon for $23.99. 6. 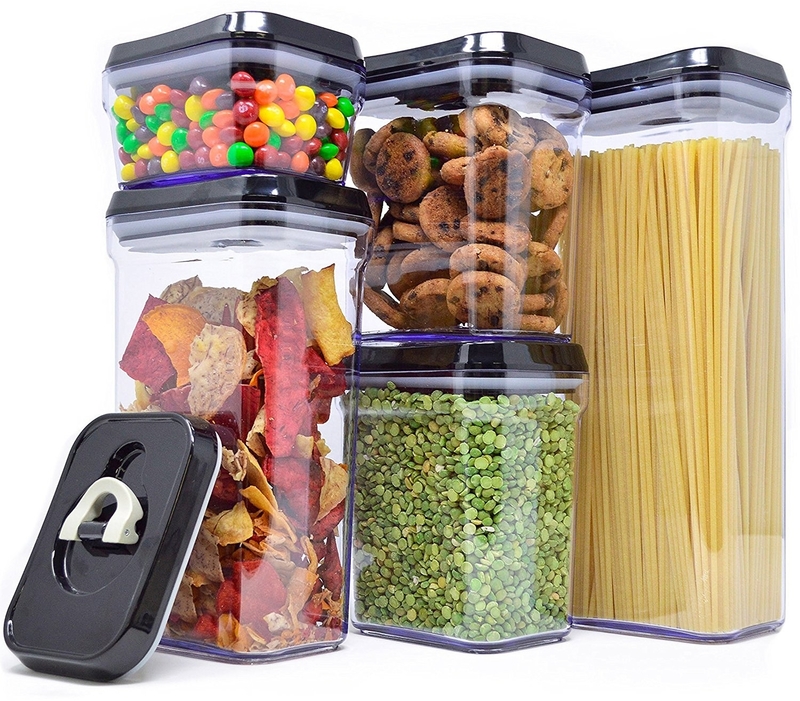 Keep your food fresher longer *and* make your pantry and cabinets look neat AF by storing snacks, pasta, beans, and more in air-tight storage containers. 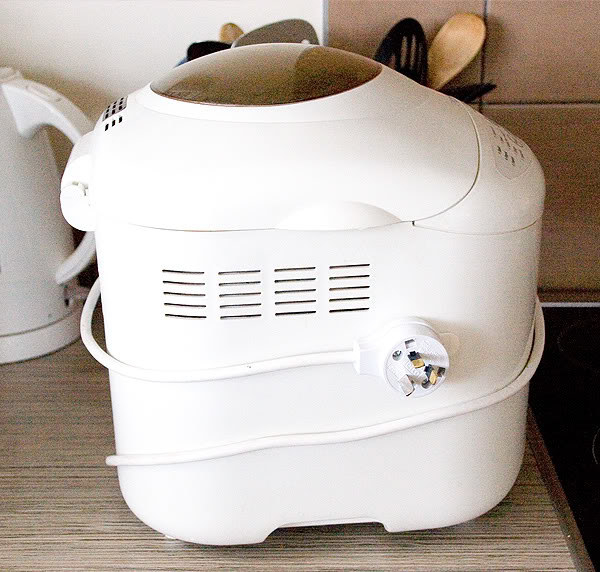 Plus, once part of your pantry looks a little neater, you might be motivated to go through and toss anything that's expired. Get a 5-piece set on Amazon for $32.97. 7. 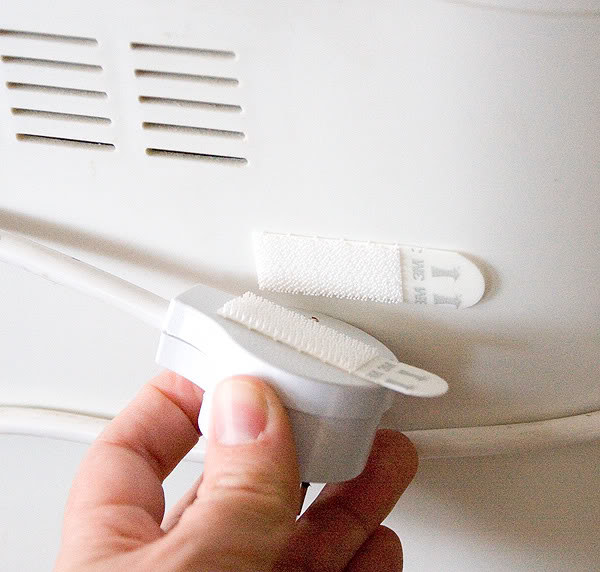 Secure the cords to the appliances you only use every once in a while with Command strips. Specifically, the picture hanging strips. That way, you can store your appliances away in your pantry or a closet without the cords getting in the way. From Jen Thousand Words. Get 12 pairs on Amazon for $7.88. 8. 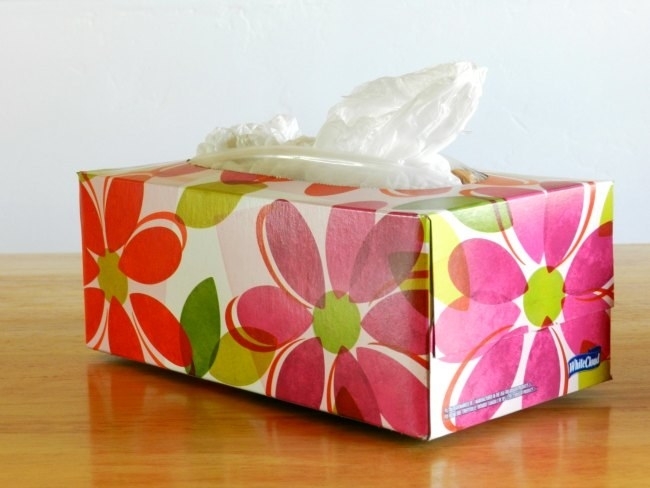 If you have piles of plastic grocery bags, keep only the ones that'll fit in an empty tissue box or grocery bag dispenser, and recycle the rest. From Grow Creative. 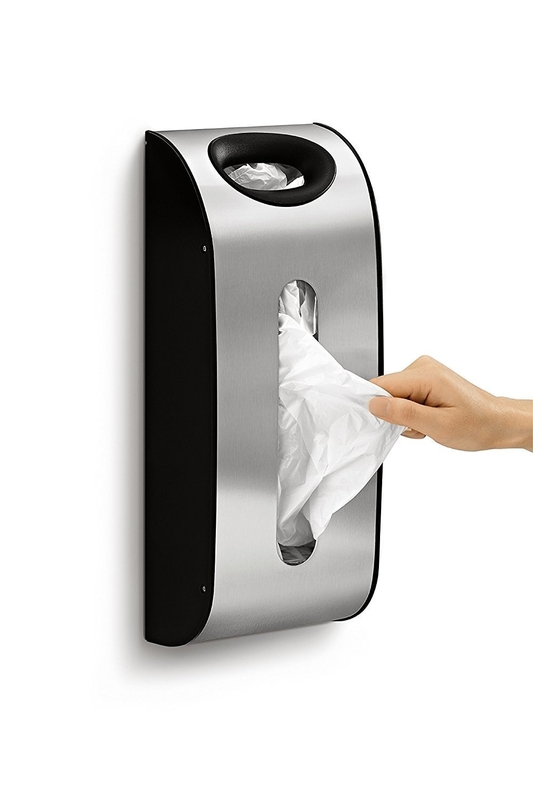 Get the dispenser on Amazon for $14.97. 9. Move your kids favorite games to stacking plastic containers or small drawers that are all the same size, so they make a neat, easy stack. From Infarrantly Creative. Get a set of 3 similar stacking boxes on Amazon for $13.17. 10. If your bathtub's covered in colorful bath toys, use a Command Hook + a lingerie bag to capture them all when bath time's over. They'll look nice and neat, *and* they'll drip dry. From Two Twenty One. Depending on how heavy your bath toys are, you can probably try a regular Command Hook you already have. But if that gives you trouble, they make a towel hook that holds five pounds and uses special water-resistant strips: get it on Amazon for $4.97. 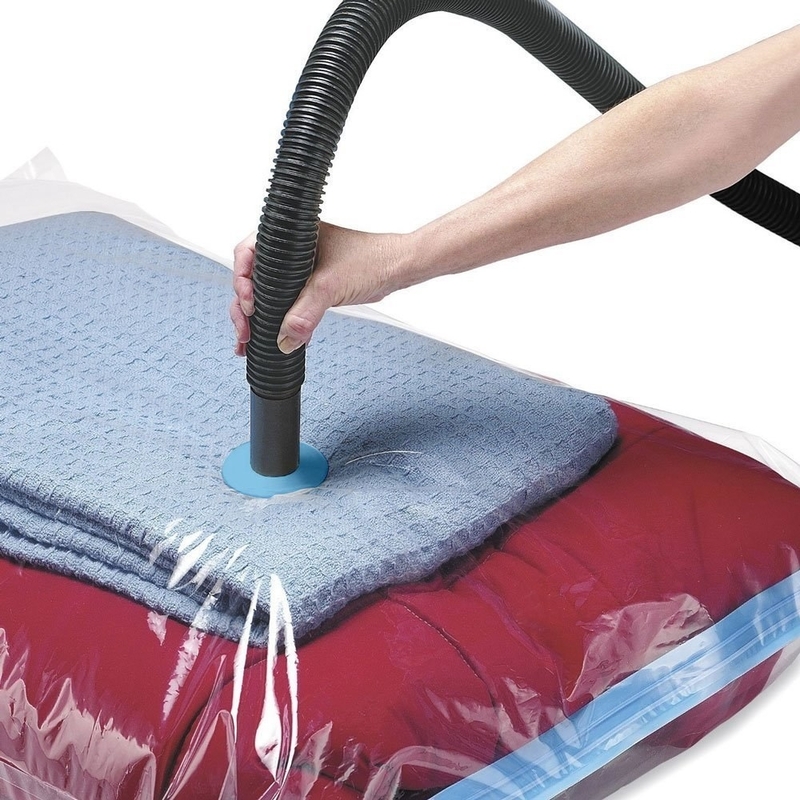 And if you need an extra mesh bag, get one on Amazon for $4.99+ (12 colors available in three sizes). 11. Go through your bathroom cabinets and toss anything that's past its expiration date. 12. You can also sort out makeup that's *not* expired but that you never wear anymore, or only wore a couple of times — and offer it (sanitized with alcohol wipes, of course) to friends who might be interested. Or sell it on r/MakeupExchange and maybe make some money! Just be sure to read all the sidebar rules before posting. To sanitize your makeup, spritz powders (eyeshadow, blush) with 75-90% isopropyl alcohol, and wipe creams and tools (lipstick, highlighter, eyelash curlers) with alcohol wipes. Get a box of 200 alcohol wipes on Amazon for $9.99, and you can start cleaning all your makeup regularly. From here. 13. Give your bathroom serious spa vibes by swapping out your branded bottles for matching pumps in a soothing blue. Not sure which is which? Use a label maker and label 'em. 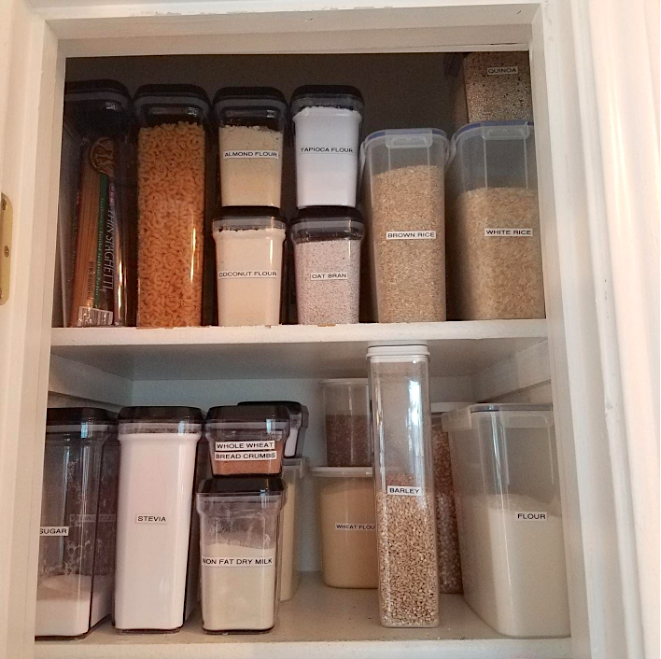 (You can get an label maker with all the bells and whistles on Amazon for $19.99.) From The Chic Site. Get four eight-ounce blue glass bottles with pumps on Amazon for $12.99. They also come in amber glass, if that's more, y'know, you — again $12.99 for four. 14. While you're at it, pour your dish soap (and after-dishes hand lotion, if you use it) into a pretty glass pump bottle, too. Branded labels aren't exactly stressful to see, but when you get rid of 'em, everything just looks so much calmer. From Natalie Wright. Get similar soap pumps from Target (made with recycled glass!) for $9.99. 15. Corral your family's clutter in "crap baskets" so when you find your daughter's shoes under the kitchen table, you actually have somewhere to put them. And don't have to interrupt your day to climb the stairs. From Sew Many Ways. You can use whatever baskets you like best, or get similar ones from Walmart for $8.72 each. 16. If you have a DVD collection you'd like to downsize, move 'em to organized binders (using binder inserts) and recycle the cases and covers. You can make it fancy and cover binders with fabric, or just stick to plain binders (get 'em on Amazon, $10.84 for four) and disc inserts (also on Amazon, $10.89 for 25 sheets, which will hold 200 movies). From the now-defunct blogger Uncluttered Lifestyle (who I found through I Heart Organizing). 17. Store everything from extra bedding to out-of-season clothes in space bags: whether you store 'em under your bed or in a spare closet, everything will take up less space. 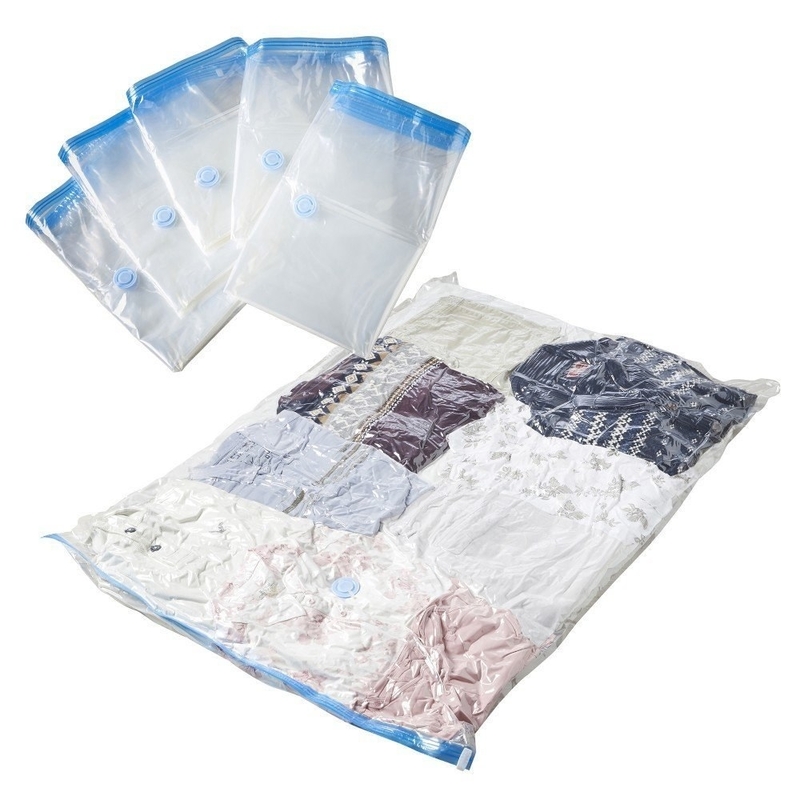 Get six 40x30-inch bags on Amazon for $17.99. 18. If you tend to dump your mail and forget about it, set up a mail filing station so you can sort and file your mail the moment you bring it in. Just don't forget to check the folders again to take care of your to-dos! From Clean & Scentisble. Get a similar wall-mount basket on Amazon for $9.78. 19. 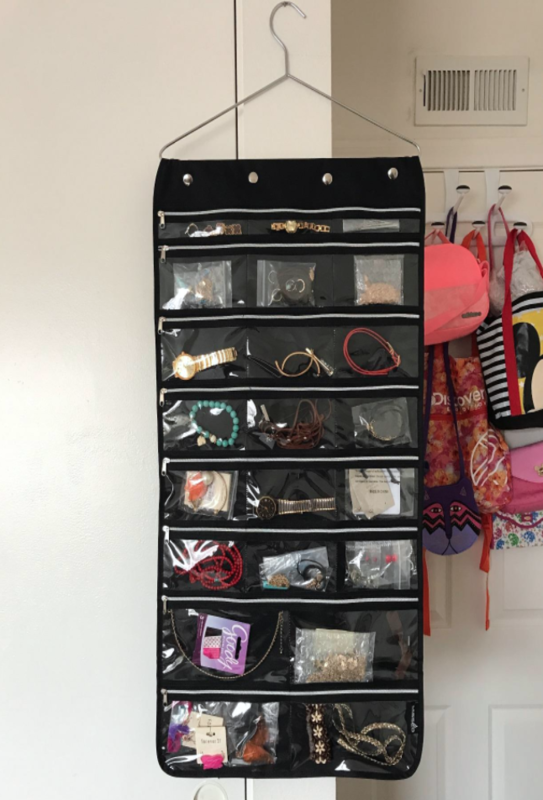 Give every piece of jewelry you own its own designated pocket in a hanging organizer, so you can choose from the ~whole menu~ of jewelry you own. And while you're re-organizing, decide which pieces you really love, and which others you can donate or toss. Or make a rule that you can only have one piece of jewelry per pocket, and will donate the rest. 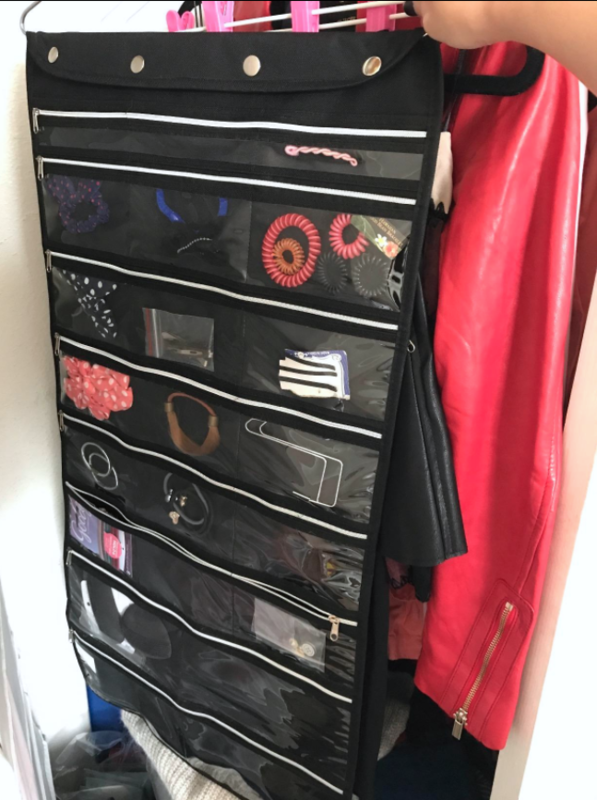 Get this zippered hanging organizer on Amazon for $19.99. 20. Turn all your hangers in your closet backward, then when you wear something, flip its hanger back around. After six months, donate or sell whatever's still on backwards hangers. Or wait a full year. Or, if you rotate your clothes out for seasons, first do it with your winter clothes, then with your spring clothes, etc. Make the system work for *you*. From here. 21. Speaking of selling, try out an app like Poshmark or Letgo to see if you can make a few bucks. Hey, some money's better than nothing! Poshmark's exclusively for clothes and accessories, and ships nationwide; Letgo's for basically anything and everything. And don't forget the classic Craigslist. 22. Or if you'd like to make some money without putting in a lot of work, try sending your castoffs to ThredUp. ThredUp sends you a bag, you pack the bag, and as your items sell you make a small percentage. They prioritize things in good condition from popular brands, so if your stuff isn't really clean or has a small hole or two, consider selling or donating it elsewhere instead. 23. 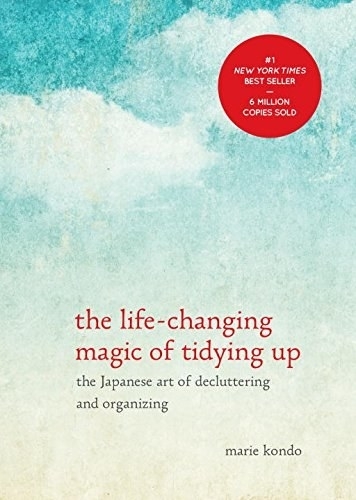 If you're serious about decluttering for good, learn about different systems to figure out what might work for you. 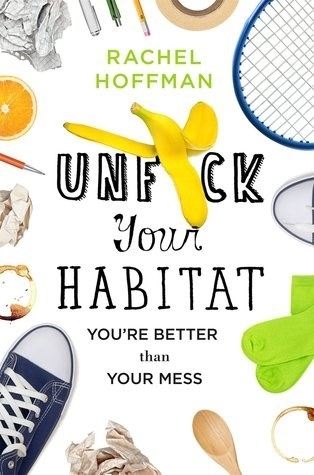 If "spark joy" seems a little impractical to you, I *also* like the "20/10" method — plus the author's humor and empathy — from Unf*uck Your Habitat (get it on Amazon for $13.25, Indiebound for $15.29, or at your local library).